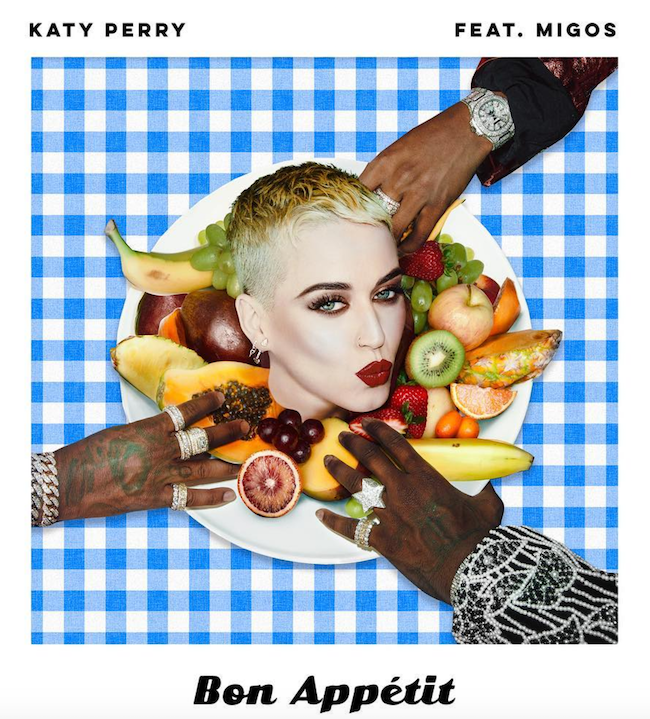 Katy Perry’s new single features a rap group that have made homophobic remarks in the past. In March, Perry accepted a National Equality Award at this year’s Human Rights Campaign gala, where she gave a moving speech about acceptance and equality. So the apology is the standard f*ck you apology then. We’re sorry if you were offended by our comments. I’ve never given any credence to these pop-tart’s words. It’s all about getting hits, making headlines, feeling worshiped and getting bank. Yeah, anyone who thinks different isn’t paying attention. I’m not going to say that Rap and homophobia are like peanut butter and jelly but lets just say this doesn’t much surprise me either. There’s a hip hop club or at least it is on Sunday. It’s right next to my gym in Hollywood. The rappers show up in their rolly Royce’s, Lamborghini’s, etc along with their body guards. It’s total show of look at all the bling I got. Every night violence would predictably happen so now they’ve got practically half the city’s police force on the ready every time. The best part is seeing these women. Black, Asian, White all dressed up as hookers with the high heels and fishnet stalkings. It’s why I laugh when people get all upset when these thugs say something insensitive. At least she’s said supportive things about our community unlike Rihanna who has never said a supportive thing, never denounced Beanie Man or her violently homophobic birth nation. KaTTy Perry is a user and a loser. I can’t believe the media keeps getting sucked in by her banshee desire to be a pop superstar. She has used the gay community from day one to advance her own celebrity status and gives us NOTHING in return – she is the worse kind of gay-baiter. I have more respect for the homophobes than for people who pretend to be an ally only for self gain. She is garbage. Trash. and utterly unremarkable. It’s business. Migos just blew up Coachella, and everyone’s in love with the video of the little kid on his father’s shoulders doing the choreo from their vid. Katy’s a pop act that wants a rap act now that trap is the new pop trend. Labels typically pair their pop princesses with whichever hip hop act is most popular at the moment. It makes sense…and will make a whole bunch of $$$. Katy’s career as a hit music machine was over like 5 years ago. So it doesn’t even matter who she collaborates with. Give it up girl. Sad..
After reading all of these responses it doesn’t matter who any artist collaborates with. We don’t need to worry about what someone else says about us. Look at all the HATE, and BILE and UGLINESS we spew. Go ahead, read it!!!! You people, and yes, I said “You people” and I mean it, should be ashamed of yourselves. That’s what you want people to accept? We think we are so advanced and then we push ourselves back. If you spew hate you get hate back. Please. ChrisK’s generalization of hip-hop was definitely out-of-line. And it had nothing to do with my post, since my post was purely about Perry. Other than that, I see nothing out of line in the comment section. I hate when people think being “different” means you have to be a nicer person, even a pushover. No, most people are instinctively a-holes. That’s just the way it is. Most people have a very limited and ego-based view of the world no matter who they are or their upbringing. No group of people is “advanced”. Perry has exposed herself to be a hypocrite a number of times. She has done everything in her power to get attention and hits. She started her career with shallow, offensive gay-bait. Being a ‘mo means you’re not supposed to acknowledge that? Also, I hardly think most gays were thinking about Migos. He came for “the gays” first. Stop telling people to accept hate and grow some balls. Why does anyone care about this bland, talentless hack? Everyone has a right to defend themselves against ignorance and discrimination. Personally, I don’t give a toss what those people say – ‘rapper’ and ‘intellectual credibility’ are rarely, if ever, used in the same sentence. However, they do have influence over younger, more gullible people, and that is why we have to answer back. I am sick of being polite to our attackers and those who want us to shut up. We only got as far as we have got by fighting back in the same aggressive manner used to attack us. That is not hate – that is self defence. Gay people don’t want to take away the civil and human rights of straights – but they want to take away ours. The hate is all one way – unless you live in a trump kind of ‘reality’ where truth is subverted on a daily basis. I’m always suspicious of the Amy Grant Katy Perry variety of born again evangelical then goes pop, pardon, SECULAR. Then there are those who go back to Jesus once their career stalls like Donna Summer and Gloria Gaynor, Denise Williams. The music charts are full of morons – black, white or Latino.